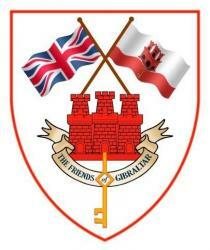 Friends of Gibraltar – Bringing Gibraltar's Friends Together! We are the Society for people in Britain who are interested in Gibraltar. Most of our members know the Rock already — many are Gibraltarians — but membership is open to everyone who wants to support Gibraltar and share our interest in its past, present and future. The annual subscription is only £15. [See membership link for application form]. In the UK we run a programme of meetings in London with VIP speakers from Gibraltar, an annual dinner and seminar, varied social events, and visits to places of interest connected with Gibraltar. We also arrange an annual members’ visit to Gibraltar, with local meetings and tours to suit the party’s interests. Our current programme of events can be found on this web site, as can the various editions of Rock Talk, our regular newsletter. The origin of the Society was as a charity devoted to the history and heritage of Gibraltar. Our charitable income is still mostly spent on restoring buildings and monuments of historical importance there, particularly ones which mark the Rock’s connection with Britain and with the Armed Forces. A list of our grants to Gibraltar projects can be found by using the links. The Society’s interests now extend to all aspects of Gibraltar’s present and future also — including culture, business, and recreation. Most especially, we celebrate and foster the link between the Rock and the United Kingdom. Please join in.